We all make mistakes, but not all mistakes result in the same consequences. Sometimes, consequences can lead to the restriction of liberty. For children, in more extreme cases, it can even lead to being separated from their parents and sentenced to correctional facilities. In the state of Kansas, putting a child into a correctional facility costs nearly $89,000 per child. Another option, group homes, costs over $50,000. Considering that placing a child into a correctional facility costs significantly more than the average family’s median income – which in Kansas is $50,624 – these children should be leaving these facilities, effectively rehabilitated and equipped to make better decisions. MANFRED WENDT is a Center for Effective Justice research associate for the Texas Public Policy Foundation. He currently attends Trinity University where he studies Political Science. Manfred founded Tigers for Liberty and the Trinity University College Republicans. 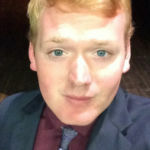 He currently serves as the South Regional Vice Chair for the Texas Federation of College Republicans. Manfred looks forward to graduating in Spring of 2018 and plans to pursue a career in politics after graduation.